Minor Rubber’s high-quality recess bumpers are used for heavy-duty applications that require superior protection from abrasion, compression, and vibration. Our recessed rubber bumpers are used in electronics, aerospace, healthcare, construction, transportation, and defense applications by the OEM and replacement part markets. In addition to the OEM and replacement part markets, Minor Rubber maintains inventory for industrial distributors. We maintain an extensive inventory in a range of sizes, materials, durometer hardness, and colors. We can also manufacture custom recess bumpers to meet your specifications. Our recess bumpers are available in three main styles. Most of our bumper styles are available with or without a metal washer and are designed to be installed by a machine screw. Each style is manufactured in a range of sizes. Square recess bumper – Available in SBR, Neoprene®, Viton®, BUNA-N, EPDM, and natural rubber. Round recess bumper – Available in SBR, Neoprene®, silicone, and EPDM. Miscellaneous recess bumper styles – Available in SBR, Neoprene®, natural rubber, BUNA-N, EPDM, ALCRYN/PVC, and fluorosilicone. Materials are offered in commercial and specification grades. Colors are available upon request. 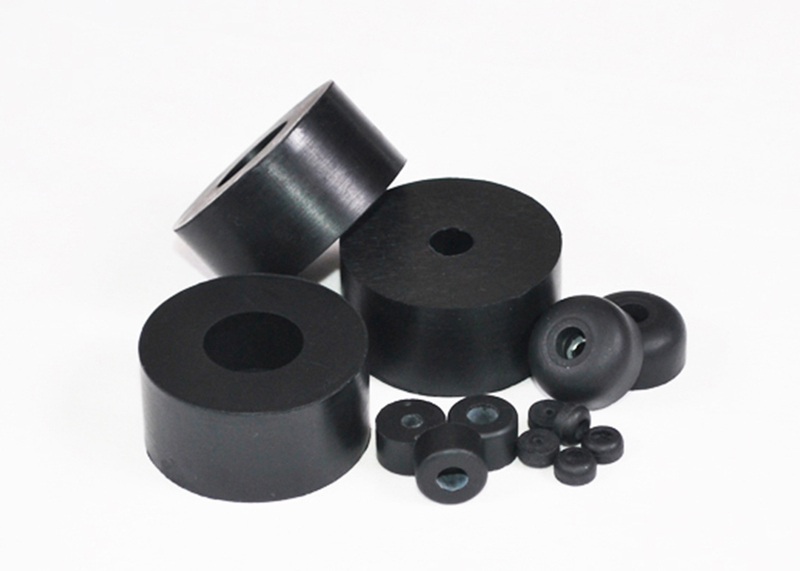 At Minor Rubber, we have earned a reputation for manufacturing high quality rubber parts. Our attention to detail and commitment to excellence for every project, coupled with our experience and knowledge of the industries we serve, ensure that your rubber recess bumper will meet or exceed your expectations. Call today to see how we can be of assistance.